If you’re rewarding yourself for a lifetime of hard work with a Calgary custom home, you may want to consider special features designed to help people approaching retirement age. Accessible housing design provides you with the security and peace of mind of knowing that your home will meet any changing needs that may occur as you get older. By incorporating these elements into your Calgary custom home plan, you can be sure you’ll be able to enjoy your new house to the fullest throughout your retirement years. If you do choose to build a multi-level home, make sure to allow for wide staircases with stable, firmly installed handrails. This will make it easier for you to install an elevation device should that ever become necessary. Ample lighting should be installed throughout the home, but especially in hallways and areas where there is considerable traffic. Make sure light switches are easy to reach and easy to operate; avoid dimmer bulbs that require a heavy push to activate. Instead, take advantage of changing technologies that give you precision control over lighting levels without requiring much if any physical effort. Bathing areas are among the most dangerous places in the house for elderly people, so yours should be designed with the utmost caution. Grab bars should be installed beside all toilets, as well as in bathtubs and showers. Consider a shower or bath fixture that offers seating, and choose a swinging door bath or shower entryway so you don’t have to step over anything to get into the tub. Multi-level countertops. Place counters at a range of heights to ensure that all household members can reach everything without having to strain. Easy shelving. With shelves, incorporate designs that allow you to pull items down or out towards you. Avoid the need to reach for shelved items. Remote control windows and treatments. You’ve probably already seen remote control blinds and curtains, but you can also get windows that automatically open and close with the push of a button. No-twist faucets. These are especially necessary if anyone in the household suffers from arthritis, or is at risk of developing arthritis. Finally, remember this principle: if you need more than five pounds of torque force to open or access something, it’s inaccessible. When it comes to accessible living, the principle of “easy does it” is the key. Why Choose Fine Line Homes? Fine Line Homes is an innovative Alberta-based builder of beautiful custom homes. 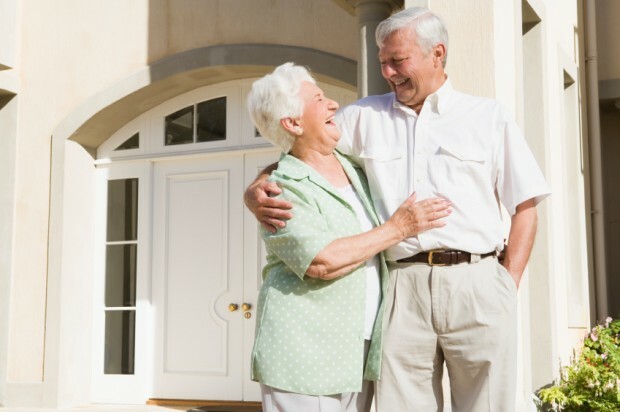 Our expert team of engineering and architectural professionals have the skills and experience to meet the unique needs of retirement-aged homeowners. We’re also pleased to incorporate a wide range of progressive technologies, including ecologically friendly alternatives, hypoallergenic fixtures and finishes, and a limitless range of options when it comes to floor plans, home systems and plumbing fixtures.